By West Hawaii Today | Sunday, August 5, 2018, 12:05 a.m. The Hawaii County Department of Parks and Recreation announced the reopening of the Kailua Park tennis courts at Old Airport Park on Friday. The announcement follows the successful installation of a new court surfacing system, new LED lighting system for nighttime play, replacement of the fencing fabric and related enhancements. For more information on the project, please call Parks & Recreation Administration office at 961-8311. 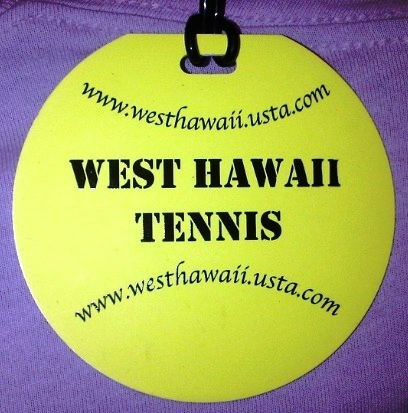 Welcome West Hawaii District Tennis Association Website - Use the Navigation Side Bar for information. If you are new to the USTA we would like to introduce ourselves and personally welcome you to our tennis community. We are giving these bag tags with our website and email address to all new members. Welcome and Click Here to learn more about USTA, Hawaii Pacific, & West Hawaii District Tennis Association.